These crackers are pretty amazing. I considered calling them a cheez-it copy cat, but they aren't quite that, being Romano flavored, and they're a bit like a parmesan Goldfish cracker, except not quite so puffy, and again, Romano flavored. But really, calling these crackers a copycat of any commercially produced cracker would be doing them a huge injustice. These are so, so, so much better than a Cheez It or a Goldfish cracker, they're better than Carr's, better than any commercial cracker I've ever had. And very addicting. 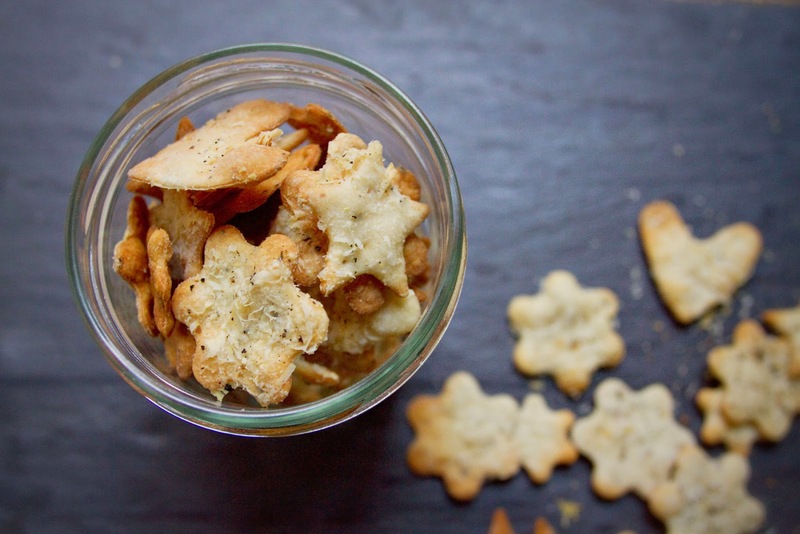 I first made these a few weeks ago, mostly just to see if I could make crackers. I've never been super confident when it comes to flour products one has to roll out. I hate sticky doughs, but abhor dry baked goods, and there is a fine line between dough too sticky, and a final product that turns out too dry. 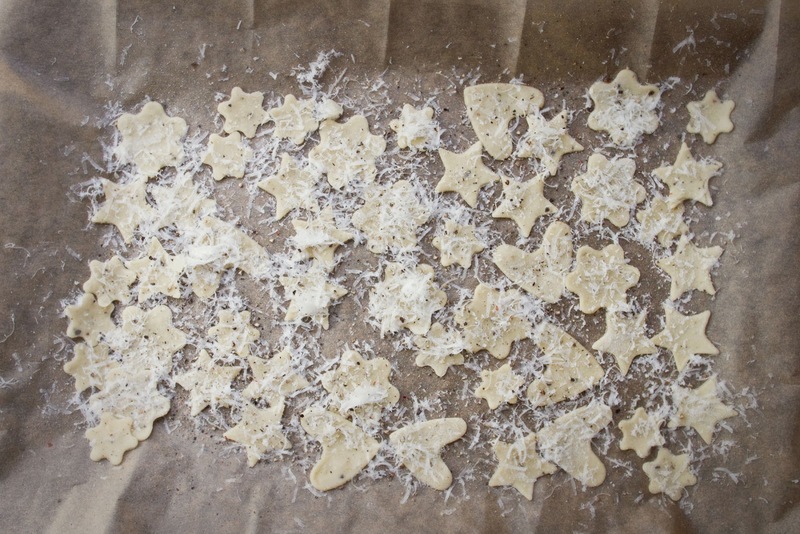 This dough, however, is very easy to roll out, provided you flour the surface and your rolling pin. I use a nonstick rolling pin, but I don't necessarily think it's any better than a wooden one. The key with this cracker is to roll the dough so thin it's practically see through. Think about 4 sheets of printer paper thick. I served the first batch to some friends who dropped in by surprise and we devoured them all with beers, and they were perfect. 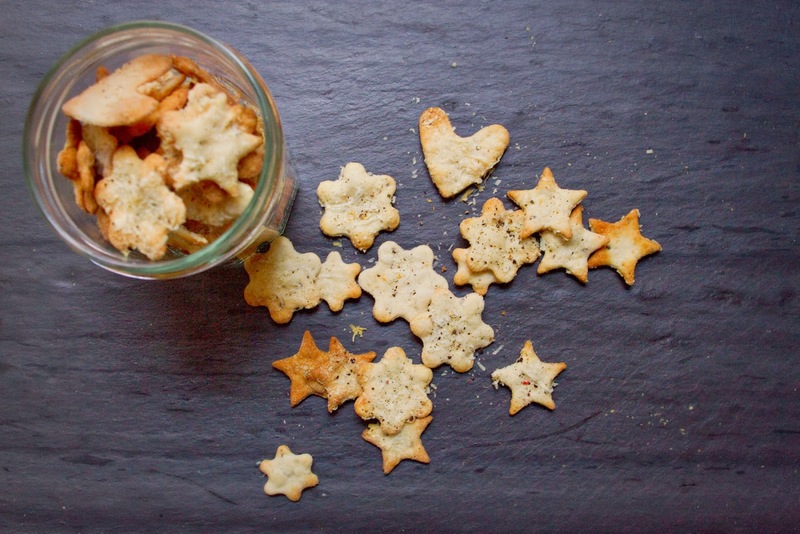 I love the idea of being the type of hostess who always has some homemade snacks, and maybe a well mixed cocktail or two to offer guests while making sparkling conversation, so I was excited to have freshly baked crackers to offer my friends. 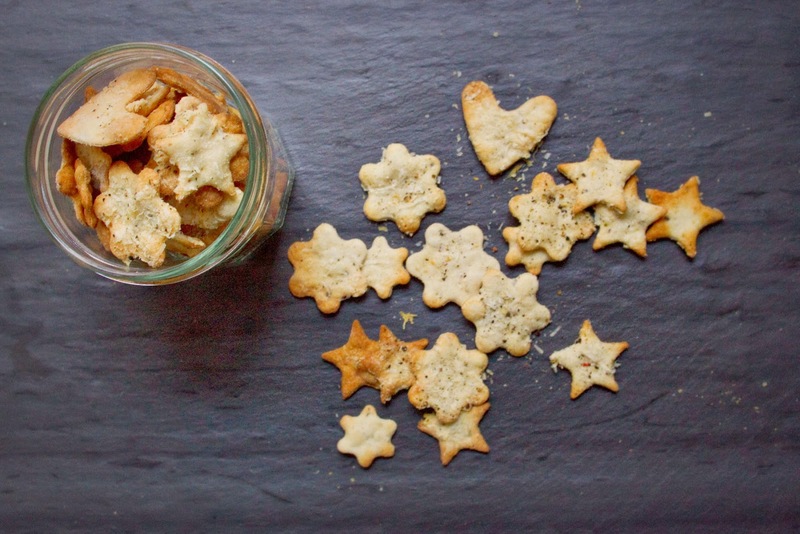 In reality though, I am very frequently the type of hostess who, when announced guests drop by, plops down an open box of Carr's crackers and a wedge of cheddar, then mostly fails at conversation while working on this blog. Full disclosure, I'm doing that right now. Full, full disclosure, there isn't even any cheddar. This time, I just plopped down a partially eaten box of Carr's crackers. Our friend is eating them happily anyway. So I'm not always a perfect hostess, but you know, sometimes there is fresh baked bread and well mixed cocktails with homemade ginger syrup. It varies around here. The second batch, the one photographed here, I baked to go along with some potato, leek, and cheddar soup I made for S and myself last week. The crackers were a fantastic compliment to the rich, creamy soup. They would definitely also be great with chicken or vegetable soup, I can just imagine them delightfully soaked in chicken broth. 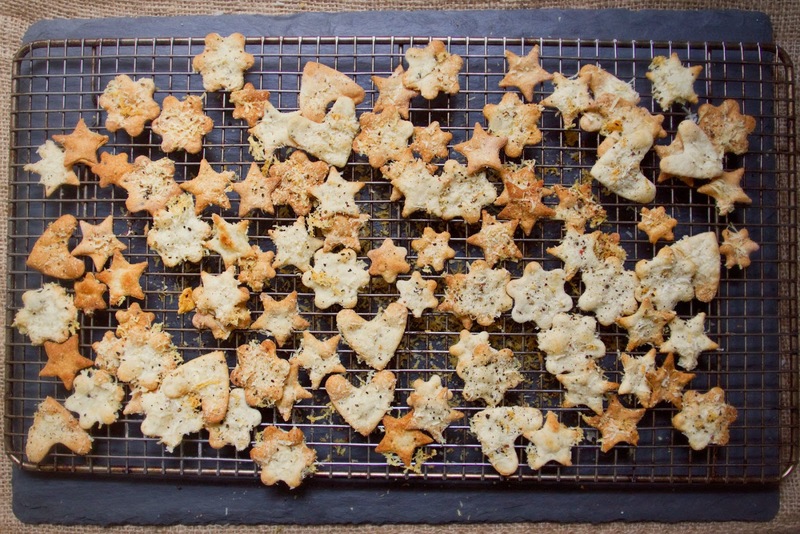 These would also be lovely if made with Parmesan, or Asiago, or just about any hard cheese. They would probably be great with Manchego and a pinch of cinnamon, or super aged Gouda. I, however, love the aged, earthy, slightly funky sheep's milk flavor of the Pecorino Romano. I bet you'll love them, too. Enjoy! 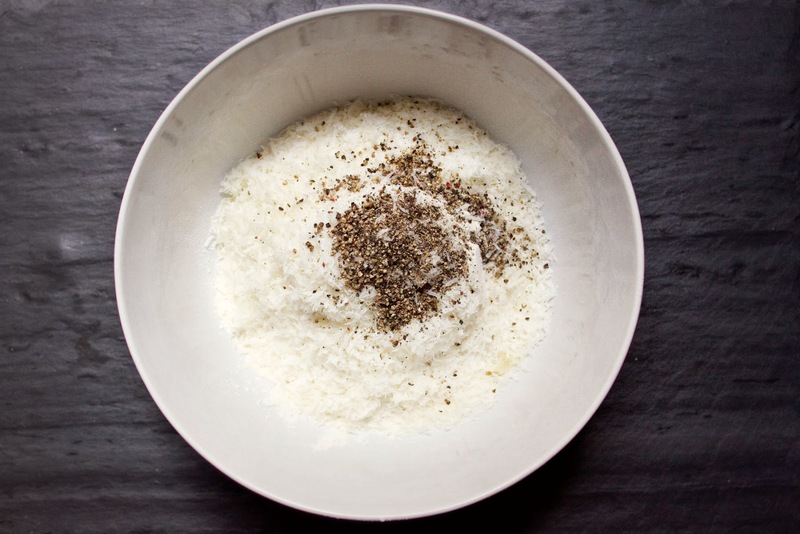 In a large bowl combine 2 C flour, salt, cheese, and black pepper, stir with a fork to combine. 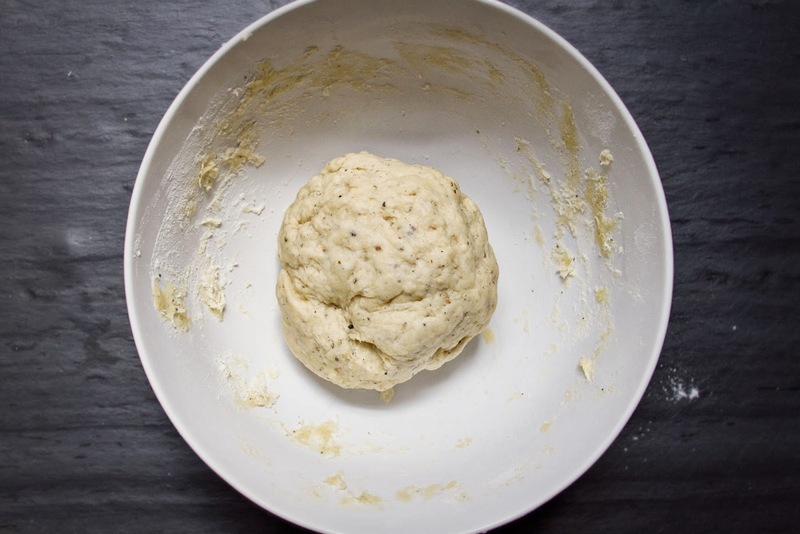 Add the water, then the olive oil, and mix again, until a loose dough forms. 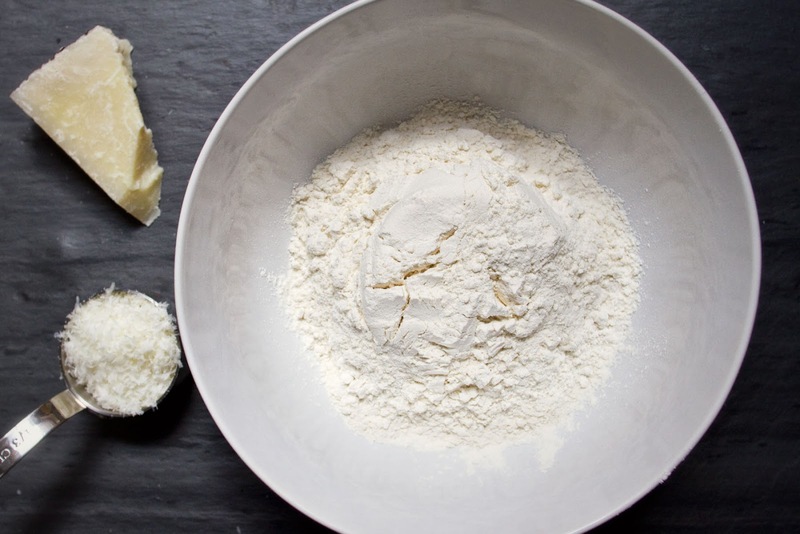 Add more flour if dough is too wet. 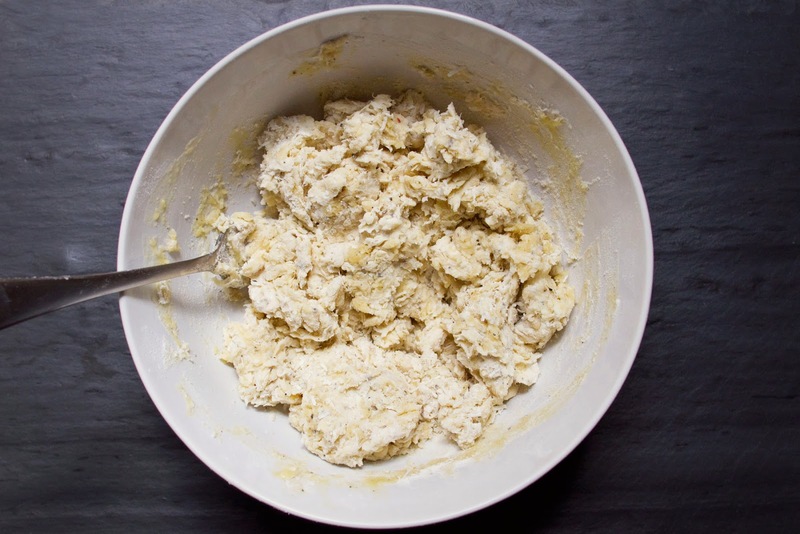 Lightly flour counter top, dump dough out, and knead until dough is smooth and elastic, about 3-5 minutes. Wrap in plastic wrap or Bee's Wrap, and let sit 20 minutes. 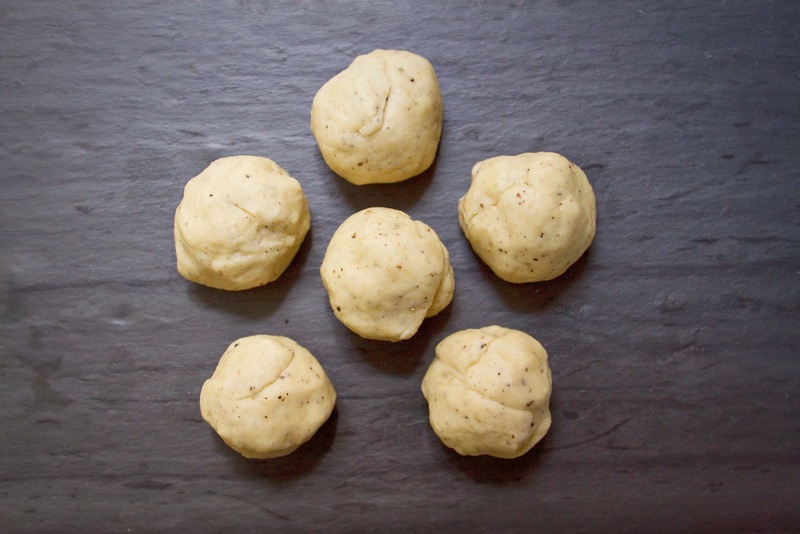 Divide dough into 6 even balls. Place one ball on a floured surface, put the others back under the plastic wrap. Roll out the ball on the floured surface until it's super super thin, thinner than a dime. I used a good deal of flour on the counter and on my rolling pin to keep it from sticking and it rolled out very easily. 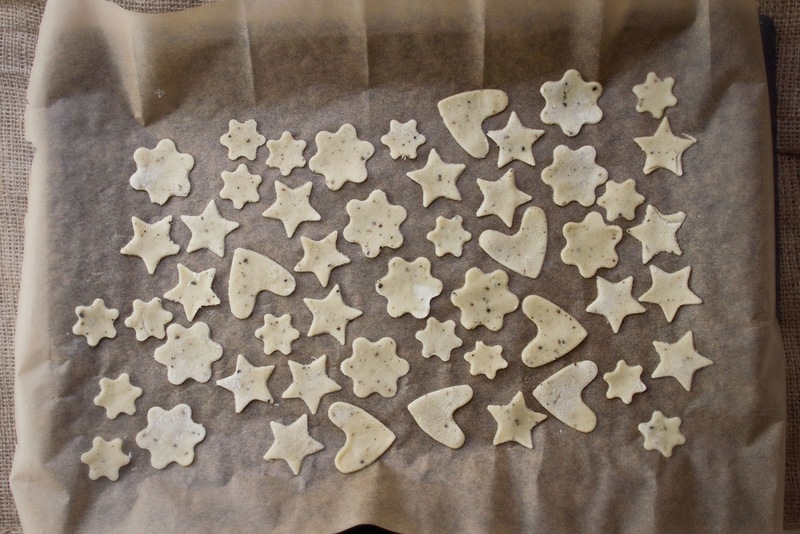 Once the dough is nearly paper thin, cut into pieces using small cookie cutters, or use a pizza cutter or knife to cut rolled out dough into little squares, place on parchment paper lined cookie sheet (they can be close together, they won't spread), and bake 10-15 minutes, or until golden brown.